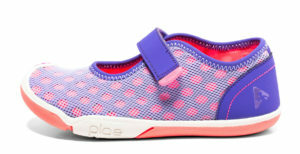 US- based PLAE is the next generation of kids shoes. They design premium quality products that are fun, engaging and built for the way kids play. With Big Apple Buddy’s personal shopping service, you can now buy direct from the PLAE online store anytime, anywhere. 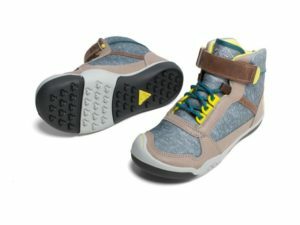 These PLAE Kaiden the mini-mountaineer waterproof high tops are a practical and hip shoe your kid will love. Customizable and interchangeable tabs, allow you to switch up your style anytime and anywhere. The Plae Chloe - Passion Flower is a breathable, flexible, vegan, lightweight and washable shoe - all the quailties you want in kids footwear! Choose from four different vibrant colors. 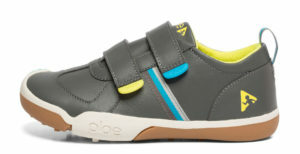 The PLAE Charlie Waterproof is a great shoe for the kid who loves being outside and keeping active. This shoe is designed for playing sports, casual outings and for rainy days. Its features include active traction, flexibility, lightweight, waterproof and spot clean. Unfortunately, the USA PLAE online store does not currently offer international shipping. However, Big Apple Buddy, your personal shopper, can help you buy products direct from the official USA PLAE online store and ship them to your doorstep, no matter where you are in the world. We offer international shipping to over 110 countries including Australia, Austria, Azerbaijan, Bahrain, Belgium, British Virgin Islands, Brunei, Bulgaria, Canada, Chile, Costa Rica, Croatia, Czech Republic, Denmark, Estonia, Fiji, Finland, France, French Polynesia, Germany, Gibraltar, Greece, Greenland, Hong Kong, Hungary, Iceland, Indonesia, Ireland, Israel, Italy, Japan, Jordan, Kuwait, Latvia, Liechtenstein, Lithuania, Luxembourg, Macau, Malaysia, Maldives, Malta, Marshall Islands, Mauritius, Monaco, the Netherlands, Netherland Antilles, New Zealand, Norway, Oman, Poland, Qatar, Romania, San Marino, Saudi Arabia, Serbia and Montenegro, Seychelles, Singapore, Slovak Republic, Slovenia, Spain, South Africa, St. Lucia, Sweden, Switzerland, Taiwan, Thailand, the UAE, the UK, Vatican City, and Vietnam. If you would like to buy from the USA PLAE online store, simply let us know which items you would like to order (by filling out the form below) and we’ll get back to you with a free international shipping quote within 24 hours!